ElenaStripe has started a donation pool! Definition of Perfection, my lovely big sister. I am too late *Crai* I wish to draw something for you but have major art block but anyway, Happy belated birthday Elena!! 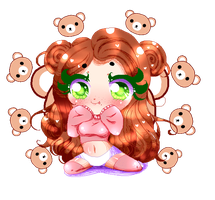 Hey it's okay ^w^ Thank you so much Starzie!